Gaudiani Clinic provides expert outpatient medical care to adolescent and adult patients with eating disorders and disordered eating, of all shapes and sizes. Welcome to the Gaudiani Clinic! I’m Dr. Jennifer Gaudiani, known as Dr. G to my patients and their families. 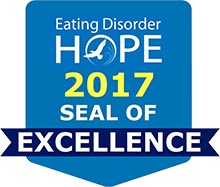 As one of the only outpatient internists in the United States who carries the credential Certified Eating Disorder Specialist (CEDS) and Fellow in the Academy for Eating Disorders (FAED), I am passionate about the medical care of adolescents and adults who have a complicated relationship with food and their body. During the more than seven years that I helped run the highest level of care in the country, providing definitive medical stabilization to critically ill patients with eating disorders, I discovered that there are hardly any doctors who understand eating disorders. Even when people have a great mental health and nutritional outpatient team, they almost always lack a medical doctor in their community who has the expertise, time, and interest in providing superb care that motivates recovery and wellness. This may mean that you, the patient, have been seen by a physician who doesn't understand the nuances of an eating disorder, either from the emotional or the physical perspective. 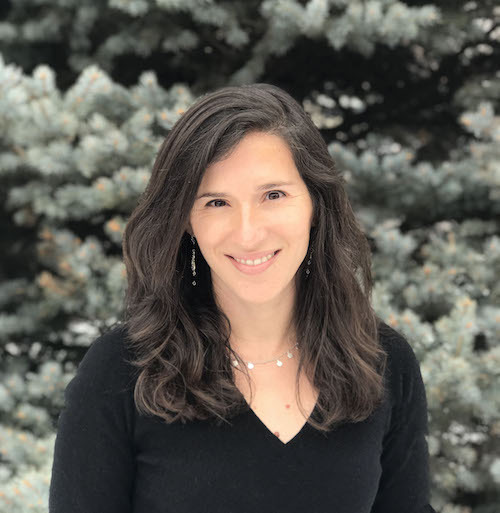 It may mean that you, an eating disorder treatment professional, have no physician backup to support you while you continue doing vital outpatient therapeutic work. It may mean that you, the loved one, have not encountered a doctor who can provide you with the reassurance and expertise needed to diagnose, treat, and communicate clearly the medical complications associated with eating disorders. I want patients to be safe as they continue outpatient therapy, clinicians to feel supported as they do that therapy, and families to be clear about what's going on medically. It was with these values in mind that I founded the Gaudiani Clinic in 2016. The Gaudiani Clinic offers unique, expert outpatient eating disorder treatment specifically dedicated to treating adolescents and adults with eating disorders or disordered eating of all shapes and sizes. By offering in-person and virtual care via our secure telemedicine video conferencing portal, adolescents and adults from Colorado and the rest of the country will discover a compassionate, nationally recognized care team ready to diagnose, treat, and clearly communicate with patients and their families. Our team will coordinate with your current outpatient team so that care is streamlined and optimized, or will help you find a great outpatient team. I want patients who are engaged in outpatient therapeutic work to have the opportunity to continue that work, knowing that they are medically safe. I want patients who may need a higher level of care to be counseled through that process by a competent and specialized physician who honors their voice in the process. You might have had an eating disorder years ago, you might have food or intestinal sensitivities that have gotten more intrusive and hard to manage, or you might currently be in the early days of, or third decade of, a classic eating disorder. My team and I are here to see you as a whole person, honor your individual goals in life, and help you work toward your goals and values.